Lara Schulte.com – Your Life. Your Coaching. Understand Your GIFTS. Use Your TALENTS. EXCEL in Life. BE YOU. Hi, I’m Lara Schulte, a Certified Behavior Specialist and Professional Life & Business Coach. I'm also the host of a mom podcast called Generation.Mom. Executives, entrepreneurs, couples, and individuals come to me to access the tools needed to live more prosperous, happy lives. Through in-person or virtual coaching sessions, I help others identify their unique talents, communication styles, and what motivates them. All of which provides them an opportunity to achieve the most success in their careers and interpersonal relationships. After graduating from the University of Arizona with a degree in Communications and Psychology, I built a successful career in sales and business development. For nearly a decade I consulted with business owners and C-level executives to bring their business objectives and sales goals to fruition. The “corporate world” was one I understood all too well, and I spent years plugged into the constant hustle-and-bustle of fast paced, competitive sales environments. Although highly regarded as a top performing executive throughout my career, I could not ignore a feeling that I was meant for more. My true happiness came from mentoring former colleagues, who saw me as a resource for growth in their own careers. It was this realization that inspired me to take a leap of faith- eventually transitioning from a busy 9-5 career to one where my innate skills for helping others grow are at the forefront. Now certified by The Y.O.U. 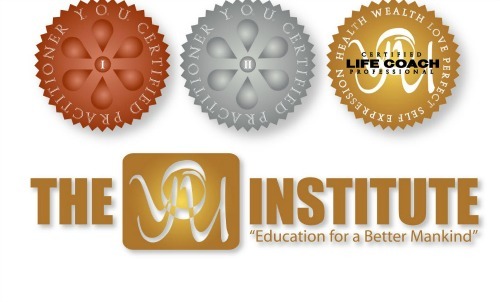 Institute, a curriculum approved by the International Coaches Federation and Board of Registered Nurses, I work with clients of all backgrounds, guiding them to understand their authentic selves via a proprietary, patented assessment called: “The Ultimate Life Tool®”. Whether you are an entrepreneur, manage a team of employees, or are simply trying to wrangle the in’s and out’s of “adult-hood,” I am here to provide you the tactical skills necessary to live life most fruitfully – at work and at home. When I am not coaching, I enjoy adventuring with my husband, exploring San Diego with my French Bulldog Paisley, or planning my next dinner party for family and friends. Life Coaching is an action-oriented, peer to peer relationship where you are guided through the in’s and out’s of everyday life. Life Coaching is designed specifically for you, to help you achieve clarity and growth in any area of life you feel challenged. Business Coaching is a tool used to help businesses and professionals of all kinds excel and get the most out of where they spend most of their time, at work! Designed specifically to address growth, management, communication and happiness in the workplace. Business coaching will help you achieve the professional success you desire. In-depth listings of our services and pricing are available here. With over 25 years of sales and management experience, I’ve had the opportunity to take many assessment tests. Most have been beneficial; however, no assessment has been as advanced or practical as the Ultimate Life Tool. What makes ULT unique is that it taps into the natural and physical laws that shape us. Moreover, the program library follow up through a certified life coach. I was fortunate to have Lara Schulte guide me through my assessment; moreover, help me implement better choices where necessary while tapping into my preexisting strengths. I fully recommend ULT and without question Lara Schulte who is the best life coach I have known. Lara has a sincere interest in the people she works with and a passion and desire to help. Lara is an amazing listener and provides analysis, insight and suggestions into all aspects of her client’s professional and personal life challenges. Lara has a wonderful sense of intuition and perception allowing her to work with people of all ages as well as a broad vision and focus on important details. I am so glad that I had the opportunity to work with Lara. We instantly connected and her expertise and knowledge were so comforting. The Ultimate Life Tool Test opened my eyes to many new and existing traits and helped me connect the dots to find out more about myself. Lara was there every step of the way and further explained the results; guiding me throughout my career search. If it wasn’t for her, I would have never looked into the field I am in today!